Like tea and toddler’s birthday parties, everything is better with bubbles. This interesting new Kickstarter watch has a unique “bubble” or convex track around its face, a feature that will be familiar to folks who like De Bethune and may want something similar… but much, much cheaper. 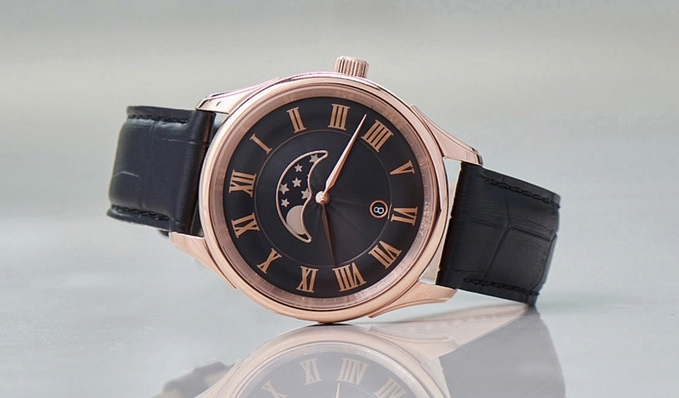 The watch comes in two styles – standard and with a lunar calendar – and runs a Ronda quartz movement. The current model, called the Firenze, is $175 for early birds. The Lunar model is $199 and includes a date window at 6 o’clock and a large moon phase readout at noon. The moon phase is an homage to more complicated watches that were able to display the phases of the moon using a perpetual calendar complication with a delightfully complex set of gears and cogs. The pieces also have a complex, engraved guilloche dial and come in silver or gold and a leather strap in black or brown. 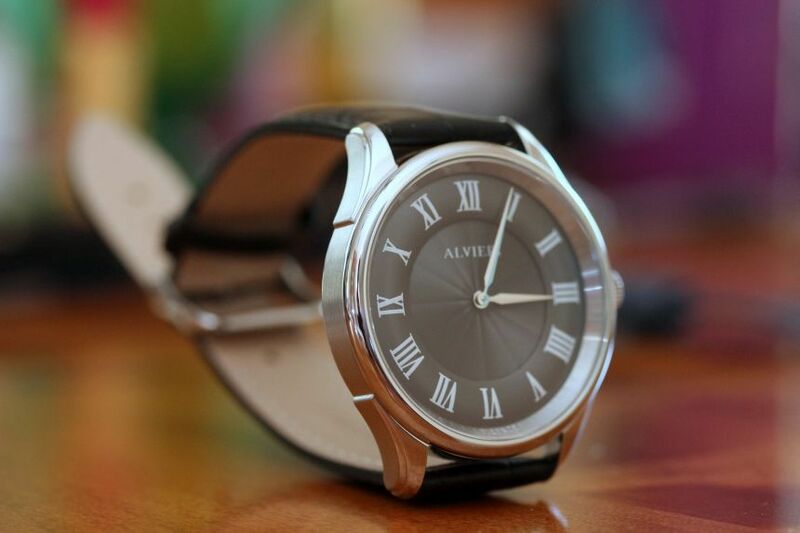 To be clear this is primarily a fashion watch – a piece that focuses on design rather than “features” or complications. However, given the unique convex track, the clever moon phase readout, and the low price this is worth a look. It ships in August but there are a few hands-on photos here for folks who are looking for a bit more fizz.